I love a good easy and quick DIY and here is my latest, cutest Christmas DIY. How cute is this Reindeer? Imagine these as Name Tags round the Christmas dinner table. Here is how to make your very own. 1 and a half corks. If not already cut your first cork in half which will form the head. Glue the bottom of the half cork to the other cork. I have made the original end of the cork the front the cut edge the back. Overlap the corks by about 5mm. Work out what the right length is for the legs and cut 4 match sticks to the same length. Hot glue these to the sides of the full size cork. Check your reindeer can stand. For the antlers again measure out the lengths your think are right on 2 match sticks and cut the other into smaller pieces. This will be enough for the tail too. Glue the shorter match sticks to the longer one. 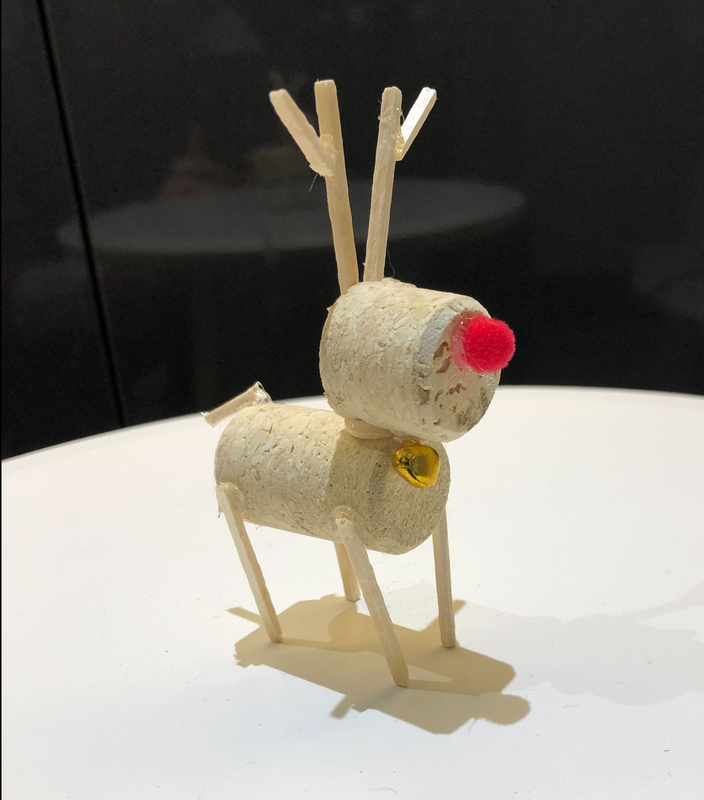 Glue these to the back of the reindeers head. Glue the other shorter match stick to the middle of the back of the full size cork. Pick which colour bell you would like to use and glue this just below the head of the reindeer. Make sure it still jingles. Glue the red pom pom in place for the reindeers nose on the front of the half cork. And there you go, make as many as you want and how cute are they? How many would you make or need for around your Christmas dinner table?